Nearly 2000 children in Mali have stopped going to school after suspected Islamists warned they would only allow religious education, according to teachers and local officials. “Armed jihadists arrived in our village last week by motorcycle,” said a teacher in the village of Toubakoro, about 85 miles northeast of the capital Bamako. “They told everyone to gather in a mosque. They told us to close all schools where French is taught and to teach only the Koran instead,” the source said, speaking on condition of anonymity. The extremists were largely driven out in a French-led military operation launched in January 2013. But large stretches of Mali remain out of the control of Malian, French and UN forces, which are frequent targets of attacks. Concurring sources said the group behind the threats at Toubakaro claims affiliation to a radical preacher from the Fulani ethnic group named Amadou Koufa. The men made similar threats last week in the nearby villages of Dandougou, Balala and Ngounado, they said. “More than 20 schools have been closed in five locations – almost 2000 children are not going to school at the moment,” said local official Aboubacar Ndiaye, who said he had fled to Bamako “as a precaution”. 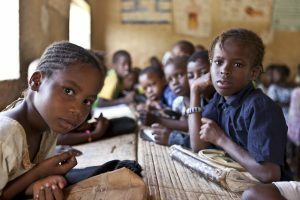 In his latest quarterly report on Mali, UN Secretary General Antonio Guterres said that 1108 schools had had to close “at least once” – defined as a closure of at least 20 days in one stretch – during the 2017-18 school year. Closures affected a total of 332,400 children. Security Minister Salif Traore said a “wide-scale” military operation to tackle threats against schools had begun in the past few days and “suspects” had been arrested. Mali is among 81 countries have signed the Safe Schools Declaration – a commitment to keep students, teachers and their schools free from the fear of violence and occupation during armed conflict.